This article explores the early history of the jātaka genre and opens up some questions about its relation to other bodies of pre-modern Indian literature. It asks to what extent a jātaka can be defined, how jātakas functioned within early Buddhist communities, and how their particular generic conventions allowed for both distinctively Buddhist perspectives and the inclusion of wider Indian narrative motifs. The article also touches upon the relationship between jātaka literature and other early Indian narrative texts, such as Jain scriptures and the Hindu Mahābhārata. 1I first discovered jātaka stories when I was an undergraduate student of Religious Studies at Cardiff University. As a part of my degree, I was studying Sanskrit and Pāli. One of the first proper texts that we read in my Pāli class was the Gūthapāṇa-jātaka, which forms number 227 of the great collection known as the Jātakatthavaṇṇanā (« Birth Story Commentary »)2. The story tells of a drunken dung-beetle who challenges an elephant to a duel. The elephant wins the duel by defecating on the head of the dung-beetle. I remember long discussions in the class about how to translate the various words for defecation – indeed my Pāli teacher Andrew Skilton subsequently wrote an interesting article on the issue of scatological language in Buddhist texts3. But I also remember being puzzled by something else: Before we read the Gūthapāṇa-jātaka in that class, we learned that a jātaka story is a story of a past life of the Buddha, celebrating the Bodhisatta’s progress towards buddhahood. Yet, in this particular jātaka story – as in a few others in the great Pāli collection too – the Bodhisatta (or Buddha-to-be) plays no role in the action. Instead, he is simply said to be a tree-sprite who saw the duel between the two intoxicated animals. Not only does he do absolutely nothing in the story, but he also says absolutely nothing, and we do not even hear what he thinks. 2This simple observation immediately got me interested in the jātaka genre, on the question of what makes a jātaka story a jātaka story. If a story like that of the dung-beetle and the elephant can count as a jātaka even though the Bodhisatta has no involvement in it, then what does it really mean to be a jātaka? Could any story be included in the great Pāli Jātakatthavaṇṇanā and be called a jātaka? All rivers wind. All forests are made of wood. All women, given opportunity, do no good4. 4The Bodhisatta’s opponent, in order to defeat him, has a young girl brought up in the confines of a tower, without any contact with men. This allows him to falsify the verse because he has a woman who is completely pure. He, therefore, begins to win the gambling matches. The king (who is the Bodhisatta, as you may recall) discovers the cause of his change in luck and arranges for the girl to be seduced. His plan successfully completed, his verse is made true again, and he begins to win all his dice matches once more. 5This story is an amusing, if also disturbing, example of a general misogyny that is unfortunately fairly common in the jātakas5. As a jātaka story it poses a big challenge: How is it possible to imagine the Buddha-to-be as a misogynous and potentially duplicitous gambler, who pays someone to seduce an innocent girl in order to preserve his winning streak? This is not a story of a Buddha-to-be carefully and energetically pursuing the necessary qualities of eventual buddhahood, as the framing of the jātaka book, and later Buddhist tradition, would have us believe is the case for all jātaka stories6. 6Stories in which the Bodhisatta either doesn’t appear at all, or acts in ways that are not consistent with Buddhist ethics or notions of the path to Buddhahood, thus raise questions about the nature of the jātaka genre. They also raise questions about the relationship between the great Pāli jātaka book and wider Indian literature, for as scholars have long pointed out, many of the stories have parallels elsewhere, in collections such as the Pañcatantra, or the epic Mahābhārata. This has led some scholars to dismiss the jātakas as simply being a collection of Indian folktales, with little or no serious Buddhist content. As I have long argued, I think such a description of jātakas is inadequate7. For a start, it ignores the ways in which jātaka texts have presented themselves as distinctively Buddhist. The commentarial preface to the great Pāli Jātakatthavaṇṇanā explicitly tells us that jātakas are about the Bodhisatta’s progress towards awakening and his acquisition of the perfections required for this attainment. We run into difficulties when we apply this definition to the stories within the collection, as is already clear from the two examples I have outlined. However, this should not lead us to dismiss the idea that jātakas are Buddhist as mere fiction. Rather, we should look at how such understandings of the genre developed, and how they compare to presentations of the genre in other texts and contexts. 7In other words, the presence of a range of stories in jātaka collections forces us to consider what it means for a story to be a jātaka, regardless of whether the story was composed as a jātaka, or whether it originated elsewhere, as part of a communal Indian story pot, as part of a narrative collection of a rival religious tradition, or as another type of Buddhist narrative not originally identified as a jātaka. Tracing origins is not the end of the story, only the beginning. In this article, I would, therefore, like to address two inter-related questions: What is a jātaka story? And how does the jātaka genre relate to wider Indian literature? 8Let us begin with the first question: What is a jātaka? The first argument I would like to make is that it is important to acknowledge that the definition of a jātaka is different in different times and places, as well as in different texts. In my 2010 book Jātaka Stories in Theravāda Buddhism, I used the Kiṃsuka-jātaka (Jātakatthavaṇṇanā 248) to illustrate this. The story goes that there were four princes, who wished to go and see a famous tree, the Kiṃsuka, or « What’s-it » tree. The charioteer took them one by one at different times of the year. He showed the older brother the tree when there were just buds on the trunk. The next he took to see the tree when the leaves were fresh and green. The next he took when the tree’s large, flesh-coloured flowers were in bloom. The youngest he took when the tree was covered in the fruits or seeds. Later on, the princes began to talk about the nature of the what’s-it tree. One said it looked like a charred stump. Another said it was like a lovely green banyan tree. The third said it was like a mass of flesh. The last insisted it was more like an acacia tree. They began to argue, each one accusing the other of being wrong. Their father, the king (and the Bodhisatta, of course), came to know of their discussions. He explained to them that they had all seen the same tree, but in different conditions. 9To my mind, this is a rather neat analogy for understanding a genre: any genre, not just the jātaka genre. To use more traditional literary theory, genres are not static, pre-existing models that restrict new compositions. Rather, each genre is redefined by every text that is composed within it8. Composers play with generic conventions and push boundaries, changing the idea of what it means to belong to that genre. Of course, novelty is in the balance with convention, otherwise, a new composition would break the mould so completely that it would not be considered to belong to the genre. A genre involves a combination of flexibility and stability, just as a tree is always in some sense the same tree, even as it grows and changes. 10In the case of the jātakas I would argue that the stability of this genre is simply the idea that the story contains a character who is identified as a past life of the Buddha. In the great Pāli Jātakatthavaṇṇanā we find other important conventions too: each story is told by the Buddha, and each abides by a set structure that moves from a « story of the present » time of the Buddha to the « story of the past » and includes one or more verses. These conventions, however, are not universal to jātaka stories or texts elsewhere. To demonstrate the flexibility of the jātaka genre we might take a few different examples and see what generic conventions they adopt and adapt. 11The earliest examples of jātaka stories that we have extant are those embedded in various Pāli sutta texts. These stories tend to be structured around the idea that the Bodhisatta did something good in the past, which is nonetheless much less impressive than in his « present » life as Buddha9. For example, in the Makhādeva Sutta (Majjhima Nikāya 83) the Buddha tells of how he used to be a king who instituted the practice of renouncing at the sight of his first grey hair, a practice then followed by all 84,000 of his descendants, all of whom therefore attained birth in the Brahmā heaven. This very impressive and positive contribution, we are told, was nonetheless minor compared to the Buddha’s institution of the eightfold path, which leads to liberation. Likewise in the Pacetana Sutta (Aṅguttara Nikāya 3.15), we learn that the Bodhisatta was a talented wheelwright, able to remove flaws from wood, but the Buddha was able to remove flaws from the mind, a far superior skill. 12Thus, for the early sutta texts, a jātaka story illustrates a positive contribution of the Buddha in a past life, which is nonetheless a weak parallel of an even greater contribution of the Buddha. As such, a jātaka illustrates the hugely transformative activities of the Buddha, and the benefits of living in a time of a Buddha. This is further highlighted by the story of the Buddha’s birth as the generous brahmin Velāma (Aṅguttara Nikāya 9.20) who gave extraordinary gifts, but – says the Buddha – would have had much greater fruit if he had been able to give a gift to a Buddhist monk or similarly good recipient. 13Although each jātaka is told by the Buddha, involves him as a character, and portrays him in a positive light, the idea that the stories illustrate progress towards Buddhahood is not present, and nor is the verse plus prose format of the later Jātakatthavaṇṇanā. 14Two decades (chapters of ten stories) of the Buddhist Sanskrit Avadānaśataka contain jātaka stories, though they are not called such explicitly; rather they are labelled avadānas10. Like the jātaka genre, the avadāna genre is rather tricky to define, but for the purposes of this text an avadāna is a story about karmic fruition, that is to say about actions producing results in subsequent lifetimes. The text is divided into ten chapters of ten stories each, and each chapter – or decade – has a particular focus, for example, people who become awakened monks, or awakened nuns, or who attain rebirth in the heavens or the realm of the pretas. 15All twenty of the jātaka stories in the Avadānaśataka are stories of the Buddha’s past lives, in which he features in centre stage, and each of the stories is told by the Buddha. The structure is thus fairly familiar. However, the genre is understood in quite a distinctive manner here, and there is variation between the two decades. 16The jātakas of the second decade are all set in the time of a past buddha. The basic structure is that Gautama Buddha receives some form of offering or devotion, and explains that this is the result of a similar act of service he once made for a buddha of the past. There is a simple lesson in karmic consequences here: an offering made in the past results in receiving a similar offering in the « present ». As such, the great honour paid to the Buddha by humans and gods can all be explained by the meritorious deeds he performed in the past. 17The jātakas of the fourth decade, by contrast, involve no past buddhas, no « field of merit » into which Gautama Buddha-to-be can plant his seeds of good deeds in the past. Instead, these stories focus on his extreme acts of virtue. Several of them involve bodily self-sacrifice, for example in exchange for a verse of the Dharma, presumably a rarity in this time without Buddhism, or in order to save others – a demonstration of the great compassion that becomes a key hallmark of a Mahāyāna bodhisattva. 18In line with the concerns of the text as a whole, the focus of all of these twenty stories is the workings of karma. The stories of the second decade illustrate a paradigmatic act of merit: a simple act of service to a buddha of the past results in the receipt of a similar act of service in a later lifetime. In the fourth decade, we find a more interesting – and perhaps more surprising – emphasis, namely on the continued relevance of what we might think of as mundane acts, even to a Buddha. In what is probably my favourite episode of the text, in the frame story for number 34, a monk is struggling to thread a needle in order to mend his robe and cries out in frustration and in the hope of an assistant: « Who here desires merit? » The Buddha, who is passing nearby, replies « I do! » He then explains how he is never satiated with merit, and was not in the past either, and tells a story of the past in which he was a king who gave great gifts. Likewise, in other stories of this decade, he speaks in praise of honouring one’s parents (Avadānaśataka 36), dispatching one’s debts (Avadānaśataka 39), and sweeping one’s own hermitage (Avadānaśataka 38). Karma and merit continue to be relevant even to a Buddha, we learn. 19Thus we see once again some common elements of a jātaka, but also some distinctive emphases: jātakas are included in the teachings of the Buddha, featuring him in a central role, demonstrating the workings of karma, and showing how different one’s actions and experiences must be in times with – and without – a Buddha in the world. 20The Mahāvastu, a broadly biographical and buddhological text belonging to the Lokkotaravādin school, contains a number of jātaka stories embedded in the life story of the Buddha that parallel the events in his final life11. For example, two major clusters of stories appear relating to the Buddha’s wooing of his wife, and his defeat of Māra. In the first cluster, we see the monks questioning why the Buddha had to go to such lengths to win his wife, or why she was so demanding, and the explanation is in the form of a story of their past encounters, whether as humans or animals. Likewise in the second cluster, the Buddha’s defeat of Māra is explained with reference to similar defeats in the past. For example, in the famous story of the monkey who outwits the crocodile as it appears in this text, the crocodile is identified as Māra, rather than as the Buddha’s murderous and schismatic cousin Devadatta, as in the Pāli versions. 21In these stories, therefore, we once again see the Buddha tell stories of his past lives to explain something puzzling in his « present » teaching career. However, the stories of the past are merely parallels of events in the present, and not always the most significantly Buddhist events at that. There is no notion of karmic consequences, and no notion of gradual progress towards buddhahood. Rather, the characters act our repeated interactions over multiple lives. Perhaps we are supposed to respond with wariness about the endless cycle of rebirth, but nowhere is this made explicit. 22For my fourth example, I want to move us closer to the wider Indian story scene. Ārya Śūra’s Jātakamālā is a work of Sanskrit kāvya, or high literature12. It retells thirty-four jātaka stories with the stated purpose of both honouring the great acts of the Buddha-to-be and encouraging others to emulate him. The stories chosen emphasise the Bodhisattva’s great acts of compassion and generosity, as well as his demonstration of how to be a good king. The courtly context of the text is very clear in this regard. 23In contrast to each of the other jātaka contexts explored this far, the jātakas in the Jātakamālā are not presented as narrated by the Buddha. Rather they are narrated by a devoted follower, a court poet, far removed in time, according to what he says are traditional accounts. This changes the feel of the stories considerably. They are still exemplary tales, featuring the Bodhisattva in prominent positions, and indeed they have a clear focus on his preparations for buddhahood. Yet they are removed from association with the Buddha as storyteller and revealer of the past. Nonetheless, they are still clearly jātaka stories, and in most cases, they have direct parallels in the Pāli jātaka book. 24These four examples, along with the Pāli Jātakatthavaṇṇanā, present us with five different understandings of the jātaka genre – or six if we separate out the two quite distinct chapters of the Avadānaśataka. I could also have added more examples – more texts that suggest a slightly different generic code for jātakas, but I think these provide a good sample of the variety within the genre. 25Despite the variety, there are a few common features that recur, and these can give us a helpful sense of what generic conventions applied to jātakas in the early period, over and above the basic definition I gave earlier, namely that a jātaka is a story involving the Buddha in a past life. The most significant recurring feature is the framing, in other words, the presentation of jātakas as narrated by the Buddha, usually to explain something that is puzzling the monks or other audiences. This framing seems to have been an important aspect of the genre in most contexts. Indeed, I have argued elsewhere that the idea of jātakas as « stories told by the Buddha » is in some ways more important to the early genre than his presence in the story of the past13. The Buddha is presented as a great storyteller, able to match a story to every context, as well as able to reveal the mysteries of past lives that are hidden from ordinary humans. 26Although this framing is present in most early jātaka texts (and we should here note that all of the sources surveyed above date to before the 5th century CE), the relationship between the « past » and « present » stories differs in each case. In some cases the past life demonstrates a karmic cause for the present experiences, whether this is in quite mundane terms (for example making a gift in the past results in receiving a gift in the present) or in terms of progress towards buddhahood (for example by perfecting generosity or compassion, which eventually lead to buddhahood). In other contexts, the past actions are a parallel to the present, sometimes with an explicit sense that this parallel demonstrates the inferiority of the Bodhisatt(v)a compared to the Buddha, and thus the great benefits to humanity of the coming of the Buddha. Thus even when a text adopts this generic feature of framing the story as narrated by the Buddha, there is still flexibility in terms of how the story is then used. 27The framing of a jātaka can also communicate the appropriate audience response to the story. The desired response can vary, but two recur particularly often, namely, great awe for the amazing Buddha with his incomparable qualities even in past lives, and a desire to emulate the Buddha’s acts in the past. These responses can overlap, of course, but one is often prioritized over the other. It is notable, for example, that in the concluding sentences of the jātakas of chapter two of Avadānaśataka the monks are told to honour the Buddha, while in chapter four they are told to emulate him14. 28Admiration and emulation, while common responses to jātaka stories, only really apply in cases where the Buddha’s activities in past lives are presented as good. This brings us back to where we began, with those stories in which the Buddha-to-be either does very little at all, or behaves in a less-than-exemplary manner. Yet the frame stories can help us here as well. Most of those jātakas in which the Bodhisatta is either absent or troubling, I would argue, can be made sense of when we focus more on the Buddha as storyteller and revealer of past lives, rather than on the content of the past-life story itself. The desire to present the Buddha as the originator of all narrative material in circulation seems to have made the jātaka genre – and particularly the Jātakatthavaṇṇanā – rather inclusive. In the competitive religious landscape of early India, compilations such as the great Pāli jātaka book allowed Buddhists to claim ownership of all stories in circulation. That some of them then sat rather uneasily with developing ideas of the jātaka genre as related to the path to buddhahood was an unfortunate by-product of this inclusive and expansionist narrative policy. This leads us to the question of how the jātaka genre relates to wider Indian literature. 29The period in which the jātaka stories and jātaka texts that I have discussed above were being composed was a highly competitive one in ancient India. What were then the new religious movements of Buddhism and Jainism were competing for patronage and followers with emerging Brahmanical Hindu ideas. It was a particularly fruitful time for narrative compositions, with the two great Hindu epics – the Mahābhārata and Rāmāyaṇa – probably dating to within a few centuries of the emergence of Buddhism and Jainism in the 5th century BCE. My recent research into connections between the narratives of Jain, Buddhist and Brahmanical Hindu traditions has revealed how each community used stories – often common stories or stories involving common characters or motifs – to assert their own identities and communicate their own teachings15. 30Identifying where jātaka stories have been borrowed from – or appropriated by – non-Buddhist narrative texts, can be a fruitful line of enquiry. However, my own interest is not so much in tracing influence, but in understanding the agendas of the three traditions and how these at times overlap, and at other times exist in tension. To illustrate this approach I will take just one example: the story of the renouncing kings of Videha. 31There are lots of famous King Janakas in early Indian narrative. The most famous, perhaps, is the father of Sītā in the Rāmāyaṇa, and another particularly important one is the interlocutor in the early Upaniṣads. Several King Janakas appear in the Mahābhārata, especially in the Śānti Parvan, the Book of Peace, and it is one of these King Janakas that I would like to explore here. 32The Śānti Parvan of the Mahābhārata is set just after the great war that has all but annihilated the warriors of the earth16. King Yudhiṣṭhira, the epic’s hero, is now undisputed king, after defeating the army led by his evil cousins. He is not particularly happy about this victory, however, because it has resulted in so much death, including the death of esteemed elders and teachers of the court, and of his sons and nephews. In fact, Yudhiṣṭhira wants to renounce his newly won throne and retire to the forest for a life of penance. The tension between household responsibilities, often exemplified through the role of the king, and the call of a quiet life of contemplation, is arguably the biggest tension in ancient India. While Vedic religion and its Brahmanical developments tended to emphasize the responsibilities of the householder, including Vedic study, fathering a son, making wealth and sponsoring sacrifices, the Jains and Buddhists insisted that renunciation was crucial to spiritual progress. Thus Yudhiṣṭhira’s dilemma is a pertinent one, and the debate that he has with his brothers and teachers forms the backdrop for the telling of many narratives about the propriety of renunciation. Surely my possessions are endless, though nothing at all is mine. When Mithilā is on fire, nothing of mine burns17. 34Yudhiṣṭhira thus holds up this famous king as an exemplar, somebody to follow, somebody who attained inner peace – something Yudhiṣṭhira sorely craves after his horrendous experience of war. However, Yudhiṣṭhira’s brother Arjuna, the famous archer, insists that Janaka was wrong to renounce, and quotes the arguments that Janaka’s wife offered to try to dissuade him. In particular, he notes that Janaka was just replacing one form of attachment – to his kingdom – with another – attachment to renunciation. This, says Arjuna, was completely futile, and it would have been much better if the King had stayed in Mithilā and fulfilled his dharma as a king. 35This story of a famous renouncing royal of Videha is well known in Buddhist and Jain texts. There is, in fact, a whole cluster or network of inter-related stories about kings of Videha called Janaka or Nami/Nimi/Nemi, with various lists demonstrating that these kings are considered to be part of the same lineage. Many of these stories are associated with the idea that someone can be prompted into renunciation by seeing a particular sign, for example, a grey hair (as in the jātaka of Nimi, also in the lineage of Makhādeva, whose story is discussed above) or a once splendid bull now old and injured. The stories are also usually associated with a particularly solitary form of renunciation, and, in some cases, the achievement of pratyekabuddhahood18. However, here I will just focus on the story most closely aligned with Yudhiṣṭhira’s reference to it in the Mahābhārata, namely the Janaka-jātaka (Jātakatthavaṇṇanā 539). 36In the Janaka-jātaka, the hero, Janaka (the Bodhisatta) is brought up in exile after his uncle kills his father and takes the kingdom. Determined to win back the kingdom, when he is grown Janaka goes to sea in order to make sufficient wealth to muster an army. In what is probably the best-known scene from the jātaka, Janaka’s boat is destroyed by a storm, and he is left floundering in the ocean. Yet he does not give up, but determinedly keeps swimming, even though he has no hope of reaching the shore. Eventually, the goddess of the ocean, Maṇimekhalā, appears. She is so impressed by his determination that she rescues him and takes him to a park just outside Mithilā, where she places him, fast asleep, on a stone slab. It so happens that, meanwhile, Janaka’s uncle has died, leaving no male heir, and only instructions that whoever can please his daughter Sīvalī and solve a series of riddles should become the next king. Janaka, of course, succeeds in both of these challenges, marries Sīvalī, and becomes king. Surely we live in great happiness, we who have nothing! When Mithilā is on fire, nothing of mine burns19. 38Janaka, in turn, uses various ruses to try to persuade his wife to turn back. He shows her a girl who has two bracelets on one arm, making a noise, and just a single bracelet on the other, silent as a sage. He points out that solitary life is superior. Likewise, he shows her a fletcher who shuts one eye in order to better make his arrows straight. She remains unconvinced, and determinedly continues to follow Janaka. Eventually the king picks some grass and tells his wife that just as the grass cannot be rejoined to the plant, so he can never be rejoined to her. She faints in the road, and he takes this opportunity to disappear off into the forest, never to be seen again. This story is unsurprisingly associated with the qualities of determination or resolve, vigour, and renunciation. These are all key qualities that need to be developed by a bodhisattva on the path to buddhahood. 39It is clear that Yudhiṣṭhira is making reference to some version of the story of Janaka roughly parallel to the second half of the Janaka-jātaka. But what about the first half of the story, involving Janaka’s shipwreck, that has come to overshadow the latter part in many Buddhist contexts yet does not appear in any other story about the renouncing king? I would like to suggest that this part of the story was developed in order to emphasize the strength of resolve that Janaka required in order to leave his kingdom. We might here note another parallel between the Mahābhārata reference and the Janaka-jātaka that is quite suggestive: Both Yudhiṣṭhira and Janaka have to regain a kingdom that has been wrongly taken from them due to a family feud. Just as Yudhiṣṭhira has had to go to huge lengths to win his kingdom back, including a long exile and a bloody war, so too Janaka has gone to great lengths to win his rightful place in the palace. It is possible that the first part of the Janaka-jātaka was composed as a counterpoint to the Mahābhārata, though the evidence is far from conclusive. We can be sure, however, that in both contexts – as indeed in all stories of this particular lineage of kings – the stories are used to debate the propriety of renunciation. 40The tension surrounding the idea of renunciation comes to the fore in another curious feature of this cluster of narratives: The Jain and Buddhist celebration of this lineage of renouncer kings is balanced by the fact that it is a lineage. In other words, all of these kings father a son before abandoning the throne. This is rather intriguing since it places them in contrast to many other Jain and Buddhist stories about the urgency of renunciation and the futility and danger of having a family. Janaka, then, would appear to have a life of his own, outside the orthodoxy of any of the three major religious movements of early India. 41The cluster of narratives surrounding Janaka and other renouncing royals of Videha is a lot more complex and extensive than I have had room to discuss here. The point I wish to emphasize by exploring this example is simply that characters and stories can move in all directions: the jātaka genre is certainly inclusive, but it also influenced other narrative collections in turn, and often it is not possible to talk of « original » or « borrowed » versions at all; one might more helpfully talk of dialogue. 42Let us draw these various threads together with a few concluding thoughts. As I have argued, the question of how (and indeed whether) to define a jātaka, is best considered without any ambition of finding a single over-arching definition, at least not one any more specific than a story featuring the Buddha in a past life. Rather, we must look at each text and context on its own terms, and explore how generic conventions are being played with, stretched, or abandoned altogether in each new setting. Indeed, we might learn from early Buddhist philosophy, and view genre not as a « thing » but as a « process », in which each new jātaka in some way changes the genre. That is not to say that the notion of genre is unhelpful. On the contrary, exploring how certain features and forms reoccur in different texts, or how common elements are used for different purposes, sheds real light on the concerns and priorities of different textual communities. 43The same can be said of the reuse of stories or narrative elements, including characters and motifs, from other traditions or from a common Indian story pot. Identifying shared stories or tracing influence from one text to another is only the first stage of a much more interesting project, that of understanding the concerns of different narrative composers and compilers, and seeing how stories are a key tool in the creation and articulation of religious identities. 44As such, it is important to treat jātakas as part of a broader Indian literary landscape. I hope I have made clear that I do not find it helpful to describe jātakas as Indian if this means diminishing their Buddhist identity. Jātakas have clearly been very important to Buddhists and Buddhist ideology from the earliest days, not least in terms of the role they played in developing ideas surrounding the bodhisattva path. 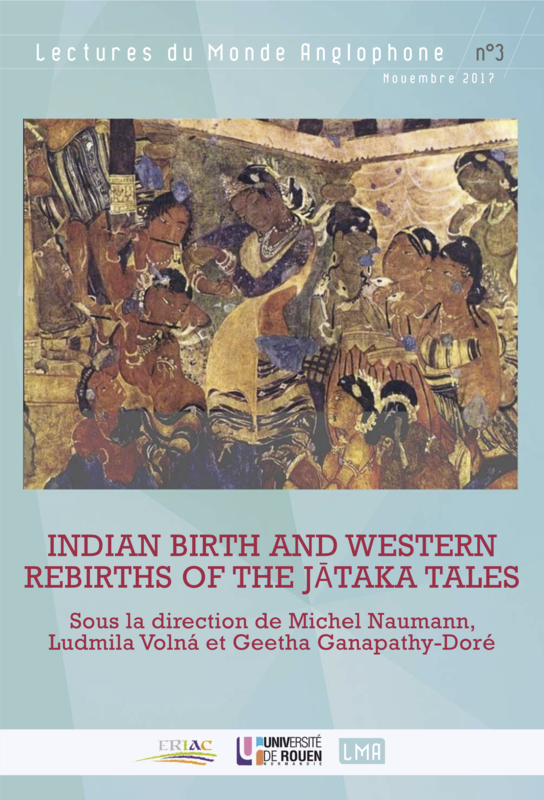 However, jātakas should certainly be celebrated as great Indian literary works as well, with a strong and multi-directional relationship with other bodies of Indian literature such as Jain narrative traditions and the Hindu epics. 45The two questions – how we define the jātaka genre, and how we understand the relationship of jātakas to wider Indian literature – are thus interlinked in several important ways. For a start, it is a key generic feature common to many (though not all) jātaka texts, namely the presentation of jātakas as narrated by the Buddha, that allows for the inclusion of many stories from other contexts within the genre. Focusing on this aspect – the identification of the story as told by the Buddha – can allow us to understand how stories in which the Bodhisatta does very little or behaves badly were included, as part of a broader inclusive or expansionist agenda. In addition, the relationship between the frame narrative and the story of the past varies in important ways, revealing different agendas in different texts, and demonstrating the flexibility of the genre overall. This flexibility allows for strong links with other narrative traditions, with stories and characters and motifs shared across religious boundaries and revealing different positions on key questions of the early Indian religious landscape. 46The flexibility and variety inherent in the jātaka genre also go some way towards explaining why they retain their value as works of Indian literature, and their relevance as stories about themes as varied as human ethics, the experiences of other realms of rebirth, karma and its consequences, the Bodhisatta’s magnificent deeds, and the Buddha’s magnificent ability to tell stories. Whether tales of great kings of old who renounced the world, or lowly dung-beetles who challenged elephants to fight, jātaka stories are very varied, yet all share one thing in common at least: they continue to delight and intrigue their many audiences, Buddhist and non-Buddhist, Indian and non-Indian. Appleton Naomi, « Temptress on the Path: Women as Objects and Subjects in Buddhist Jātaka Stories », in Anderson Pamela (éd. ), New Topics in Feminist Philosophy of Religion: Contestations and Transcendence Incarnate, Dordrecht, Springer, 2010, p. 103-115. Appleton Naomi, Jātaka Stories in Theravāda Buddhism: Narrating the Bodhisatta Path, Farnham, Ashgate, 2010. Appleton Naomi, « The Second Decade of the Avadānaśataka », Asian Literature and Translation, 2013, vol. 1, no 7, p. 1-36. Appleton Naomi, « The Fourth Decade of the Avadānaśataka », Asian Literature and Translation, 2014, vol. 2, no 5, p. 1-35. Appleton Naomi, « The “Jātaka-avadānas” of the Avadānaśataka: An Exploration of Indian Buddhist Narrative Genres », Journal of the International Association for Buddhist Studies, 2015, vol. 38, p. 9-31. Appleton Naomi, « The Buddha as Storyteller: The Dialogical Setting of Jātaka Stories », in Patton Laurie, Black Brian (éd. ), Dialogue in Early South Asian Religions: Hindu, Buddhist, and Jain Traditions, Farnham, Ashgate, 2015, p. 99-112. Appleton Naomi, Shared Characters in Jain, Buddhist and Hindu Narrative: Gods, Kings and Other Heroes, Abingdon, Routledge, 2017. Cowell Edward Byles (éd. ), The Jātaka, or Stories of the Buddha’s Former Births, Cambridge, Cambridge University Press, 1895-1907, 6 vols. Fausbøll Viggo (éd. ), The Jātaka Together with its Commentary being Tales of the Anterior Births of Gotama Buddha, London, Trübner and Co, 1877-1896, 6 vol. Fowler Alastair, Kinds of Literature: An Introduction to the Theory of Genres and Modes, Oxford, Oxford University Press, 1982. Senart Émile (éd. ), Le Mahâvastu, Paris, Imprimerie Nationale, 1882-1897, 3 vol. Skilton Andrew, « Lost in Translation: Reflections on Translating Scatological Language in Buddhist Literature », Contemporary Buddhism, 2010, vol. 11, no 1, p. 47-68. Speyer Jacob Samuel (éd. ), The Jātakamālā: Garland of Birth-Stories of Ārya-śūra, London, Henry Frowde, 1895. Sukthankar Vishnu Sitaram, Belvalkar Sripad Krishna, Vaidya Parashuram Laksman, et al. (éd. ), The Mahābhārata for the First Time Critically Edited, Poona, Bhandarkar Oriental Research Institute, 1933-1966. The Mahābhārata, vol. 7: 11. The Book of the Women. 12. The Book of Peace, Part 1, trad. James L. Fitzgerald, Chicago, University of Chicago Press, 2004. The Mahāvastu, trad. John James Jones, London, Luzac and Co, 1949-1956, 3 vol. When the Buddha Was a Monkey: Ārya Śūra’s Jātakamālā, trad. Peter Khoroche, Chicago/London, University of Chicago Press, 1989. 1 This paper, drawing on different aspects of my work on jātaka stories over the past ten years, was given at the SARI conference in Paris in May 2016. I am grateful to the conference organizers Geetha Ganapathy-Doré and Ludmila Volná for the invitation to present. 2 Edward Byles Cowell (éd. ), The Jātaka, or Stories of the Buddha’s Former Births, Cambridge, Cambridge University Press, 1895-1907, 6 vols., and Viggo Fausbøll (éd. ), The Jātaka Together with its Commentary being Tales of the Anterior Births of Gotama Buddha, London, Trübner and Co, 1877-1896, 6 vols. 3 Andrew Skilton, « Lost in Translation: Reflections on Translating Scatological Language in Buddhist Literature », Contemporary Buddhism, 2010, vol. 11, no 1, p. 47-68. 4 Viggo Fausbøll (éd.) The Jātaka…, op. cit., vol. 1, p. 289: « Sabbā nadī vaṅkagatā, sabbe kaṭṭhamayā vanā | sabbitthiyo kare pāpaṃ labhamānā nivātake ti || ». 5 For a general discussion of the portrayal of women in jātakas, including the ascetic misogyny that characterizes some of the stories, see Naomi Appleton, « Temptress on the Path: Women as Objects and Subjects in Buddhist Jātaka Stories », in Pamela Anderson (éd. ), New Topics in Feminist Philosophy of Religion: Contestations and Transcendence Incarnate, Dordrecht, Springer, 2010, p. 103-115. 6 On the role of the Jātakatthavaṇṇanā in developing and promoting this view of the jātaka genre see Naomi Appleton, Jātaka Stories in Theravāda Buddhism: Narrating the Bodhisatta Path, Farnham, Ashgate, 2010, especially chapter 3. 7 See, for example, Naomi Appleton, Jātaka Stories… op. cit., chapter 1. 8 This has been acknowledged since at least the time of Alastair Fowler’s pioneering Kinds of Literature: An Introduction to the Theory of Genres and Modes, Oxford, Oxford University Press, 1982. 9 For a more thorough exploration of the jātaka stories that are embedded in early sutta texts see Naomi Appleton, Jātaka Stories…, op. cit., p. 47-51. 10 For translations see Naomi Appleton, « The Second Decade of the Avadānaśataka », Asian Literature and Translation, 2013, vol. 1, no 7, p. 1-36, and Naomi Appleton, « The Fourth Decade of the Avadānaśataka », Asian Literature and Translation, 2014, vol. 2, no 5, p. 1-35. For a more extensive comparison of the two decades see Naomi Appleton, « The “Jātaka-avadānas” of the Avadānaśataka: An Exploration of Indian Buddhist Narrative Genres », Journal of the International Association for Buddhist Studies, 2015, vol. 38, p. 9-31. 11 The Mahāvastu, trad. John James Jones, London, Luzac and Co, 1949-1956, 3 vol. and Émile Senart (éd. ), Le Mahâvastu, Paris, Imprimerie Nationale, 1882-1897, 3 vol. 12 When the Buddha Was a Monkey: Ārya Śūra’s Jātakamālā, trad. Peter Khoroche, Chicago/London, University of Chicago Press, 1989 and Jacob Samuel Speyer (éd. ), The Jātakamālā: Garland of Birth-Stories of Ārya-śūra, London, Henry Frowde, 1895. 13 Naomi Appleton, « The Buddha as Storyteller: The Dialogical Setting of Jātaka Stories », in Laurie Patton, Brian Black (éd. ), Dialogue in Early South Asian Religions: Hindu, Buddhist, and Jain Traditions, Farnham, Ashgate, 2015, p. 99-112. 14 As discussed in Naomi Appleton, « The “Jātaka-avadānas”… », art. cit. 15 This research was carried out as part of a collaborative project with Dr James Hegarty and funded by the UK’s Arts and Humanities Research Council, to whom I am very grateful. The primary published output will be Naomi Appleton, Shared Characters in Jain, Buddhist and Hindu Narrative: Gods, Kings and Other Heroes, Abingdon, Routledge, 2017. 16 The Mahābhārata, vol. 7: 11. The Book of the Women. 12. The Book of Peace, Part 1, trad. James L. Fitzgerald, Chicago, University of Chicago Press, 2004, and Vishnu Sitaram Sukthankar, Sripad Krishna Belvalkar, Parashuram Laksman Vaidya, et al. (éd. ), The Mahābhārata for the First Time Critically Edited, Poona, Bhandarkar Oriental Research Institute, 1933-1966. 18 For a thorough discussion of all the stories, motifs and associations see Naomi Appleton, Shared Characters…, op. cit., chapter 6. Naomi Appleton first encountered jātaka stories as an undergraduate student learning Pāli, and her early love of the genre led her to complete two research degrees on the tales (MPhil Cardiff University 2004; DPhil Oxford University 2008). She is the author of Jātaka Stories in Theravāda Buddhism: Narrating the Bodhisatta Path (Ashgate 2010) and Narrating Karma and Rebirth: Buddhist and Jain Multi-Life Stories (Cambridge University Press 2014) as well as translations of jātakas and studies of other Indian narrative literatures. She also tweets @JatakaStories and blogs at naomiappleton.wordpress.com.